Intel Core i5 සහ Core i3 හ‍‍ඳුන්වාදෙයි… – . : ~ Gayan'sBlog ~ :. ටික කාලයක නිහැඬියාවෙන් පස්සෙ Intel තවත් අලුත් Processor වර්ග 2ක් ගැන හ‍‍ඳුන්වල දුන්න. 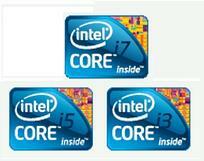 ඒ තමයි Core i5 සහ Core i3 යන Processor 2 යි. 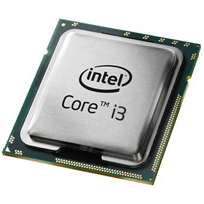 Core i3 Processor ය 2010 ජනවාරි 7 වනදා ත් Core i5 Processor ය 2009 සැප්තැම්බර් 8 වන දාත් හ‍‍ඳුන්වල දුන්න. අලුත් Processors ගැන කියන්න කළින් වැදගත් වෙයි කියල හිතන දේවල් ටිකක් කෙටියෙන් සඳහන් කරන්න හිතුව. Intel වල අලුත්ම Processor වර්ගය තමයි Intel Core. එහි වර්ග 3කි. එනම් Core i7, Core i5 සහ Core i3. Intel Core 2 Duo and Core 2 Quad Processors වර්ගවල භාවිතයද අන්තිමේදී අඩුවෙලා යයි. Pentium, Celeron and Atom, ටිකක් ඉතිරිවේයි. Centrino Processors වර්ගයද ඉවත් වෙයි. නමුත් ඒ වෙනුවට Centrino කියන නම Intel වල Wi-Fi සහ WiMax wireless නිෂ්පාදන වලට පාවිච්චි කරන්න තමයි යන්නෙ. මෙම අලුත් Processors වලට ද භාවිතා කරල තියෙන්නේ කළින් Core i7 වලට භාවිතා කරපු Nahelam අකෘතියයි. ඒ වගේම Core i7‍, Core i5 සහ Core i3 Processors සාමාන්‍ය පරිගණක(desktop) සහ ජංගම පරිගණක(laptop) වලටද වෙන වෙනම නිෂ්පාදනය කර තිබේ. ඒවායේ දළ වෙනස්කම් කීපයක් මේ. මෙහි සෑම Processor යකම L3 Cache වල අගය ඉහළ අයයක් ගැනීම ද විශේෂත්වයකි. එනම් Core i3 හි L3 Cache වල අගය 3MB ත් 4MB ත් අතර වේ. Core i5 හි L3 Cache වල අගය 3MB ත් 8MB ත් අතර Core i7 හි L3 Cache වල අගය 4MB ත් 12MB ත් තරම් ඉහළ අගයක් ගනීයි. මේ සෑම ලක්ෂණයකින් ම පෙනෙන්නේ අනාගත පරිගණක වල ඉහළ කාර්යක්ෂමතාවයයි . කොහොම වුණත් Core i7 වැනි Processor වල ඇති අති විශිෂ්ඨ බලය නිසා ඉදිරියේ දී පරිගණක වල කාර්යක්ෂමතාවය ඉහළ යෑම විශාල ලෙස වෙනස් ‍වනු ඇත‍. Next postGmail වලට අලුතින් එකතු වුණ අමුත්තා… Buzz…………. Intel Core i3 Laptop මේ දිනවල මෙහෙ දැකගන්න පුලුවන්. එයිනුත් Dell විසින් මුලින්ම හඳුන්වා දුන් ලැප් එකක මිල c2c ලැප් එකක මිලට වැඩිය අඩුයි. මම දන්නෙ නෑ හේතුව මොකද්ද කියන්න. මම ඔය i3 & i5 එකයි desktop පරිගණක වලනම් තාම දැක්කෙ නෑ. ඔව් ටිකක් ගනන්. ඒත් මට මරු ලැප් එකක් හම්බුණා… ASUS. Core i3 එකක්. 110,000 යි. හැබැයි Screen size එක 14″. Not interested on what AMD has got?. I love their products although it is hard to find their products in Silly Lanka. AMD has better Performance/Price ratio than Intel. එළ. වෙබ් සෙවීම් කීපයකින් සොයා ගටයුතු අතයාවශ්යම දත්ත ටික සරලව, සංශිප්තව ලියලා තියනවා. cache වල levels 3 ක් තියෙනවානෙ. සාමාන්‍යයෙන් අපි තථා කරන්නෙ level 2 cache ගැන. ඒත් මෙතන කියන්නෙ level 3 cache ගැන. මොනාද LAP එකේ විස්කර එහෙම? Nehalem is the codename for an Intel processor microarchitecture, successor to the Core microarchitecture.The first processor released with the Nehalem architecture was the desktop Core i7, which was released in November 2008. It was followed by the i3 and i5. ඒ කියන්නේ මුලින්ම අවේ Core i7 ද?